+ 420 296 339 685 under the title „ Assistance service of Maxima insurance company“. EUROCROSS ASSISTANCE CZECH REPUBLIC s.r.o., provides its services to MAXIMA insurance company’s clients 24 hours a day, 7 days a week, 365 days a year. Call +420 296 339 687 and you will be connected to the Assistance service of Maxima insurance company after the respective announcement. Assistance service is provided for the insurance company in frames of motor hull insurance and property insurance. UnitedHealthcare Connect Assistance provides its services for the Global Solutions/Maxima members for 24 hours a day, 7 days a week, 365 days a year. 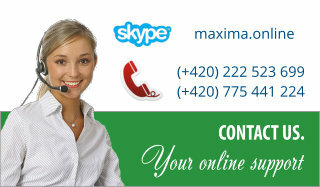 Please contact us on email address uhci@maxima-as.cz or by phone +420 273 190 444. BUPA provides its assistance services to Worldwide Health Insurance clients 24 hours a day, 7 days a week, 365 days a year on a unitary tel. number +44 – 1273 323 563.